The serene waters of Alaska's Inside Passage is a splendid spectacle of barrier islands, narrow waterways and towering forested walls. Aboard the elegant ms Volendam, the constantly changing scenery of picturesque coastal shores and friendly coastal towns will tell you stories that will give you a greater understanding of the culture, history and lifestyle of the Great Land. 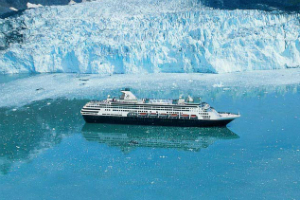 Our classic Alaskan cruise will allow you to experience the wonder of calving glaciers to the utter silence of crystalline fjords, so keep your camera at the ready as you join us on this amazing taste of Alaskan life.